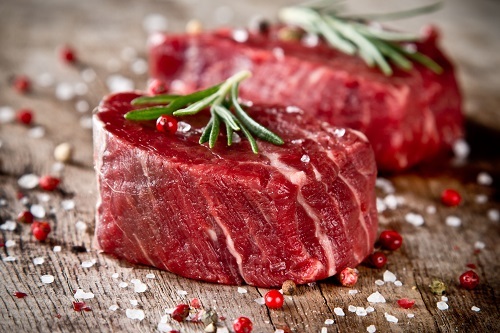 As a company, we recognise the importance of sourcing the finest beef products for our customers. We raise our own cattle here at Mill Close farm, but as our customer base has grown, we unfortunately don’t have the acreage to raise enough cattle to meet our demand. As a result, we have built an excellent rapport with other local farmers and businesses to share our own values and supply quality products. Where possible, we source our beef from the Yorkshire Dales. We offer a range of beef products, and whether your aim is to grill, fry, roast or stew, we can offer something which meets your needs. We receive particularly positive feedback for our steaks, with Yorkshire Dales Meat Company steaks gracing the menus of many hotels and restaurants within the Manchester, Leeds, Hull and York areas. Please see below for a selection of the products we offer. If you are looking for something which isn’t on this list, please get in touch with us.